← Watch out for Chinese Counterfeits! Recently I tried making some rings as a present for someone special. 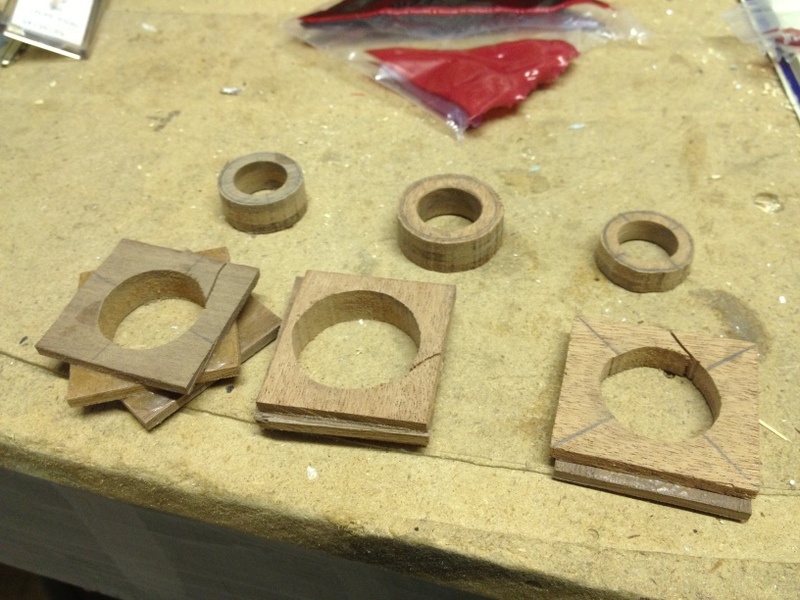 I found an interesting article about making segmented rings without a lathe, so I decided to give it a shot. To get started I bought some 1/8″ inch thick hardwoods from Rockler, including Walnut, Cherry, and African Mahogany. I then glued a bunch of squares together of different timbers, with the grains at various angles. Once the glue was dry I drilled out the center, and used a scroll saw to cut the outer diameter. It was then a matter of sanding down the outside by hand (which took ages), polishing with extra fine steel wool, and applying several layers of tung oil. I am quite please with how they came out. 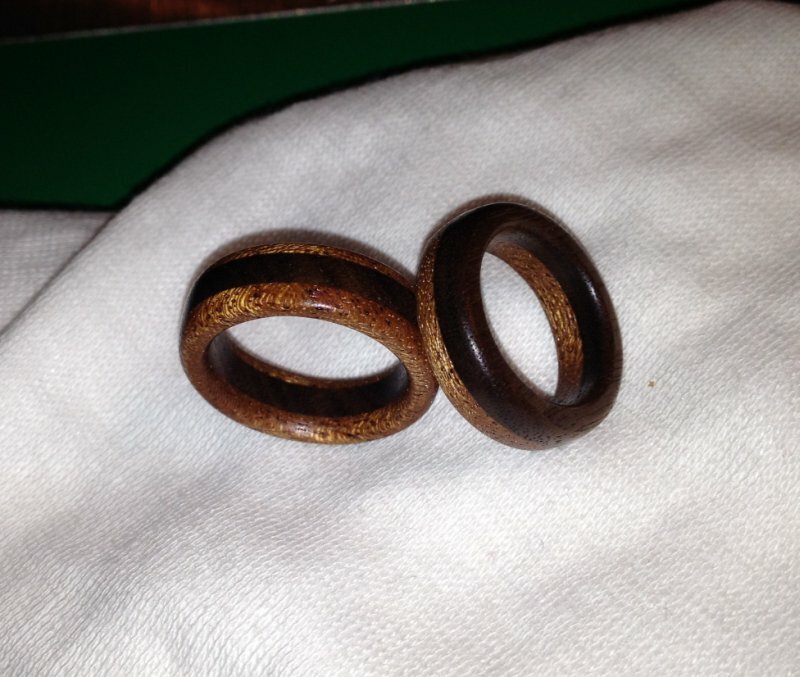 This entry was posted in Misc and tagged make, rings, woodwork. Bookmark the permalink.